Following on from the successful launch of our website earlier this year, we are delighted to unveil our new internal branding. We have spent quite a lot of time over the past six months developing a consistent brand message across our website, brochures, other marketing collateral and now, our internal branding. We hope you like it! 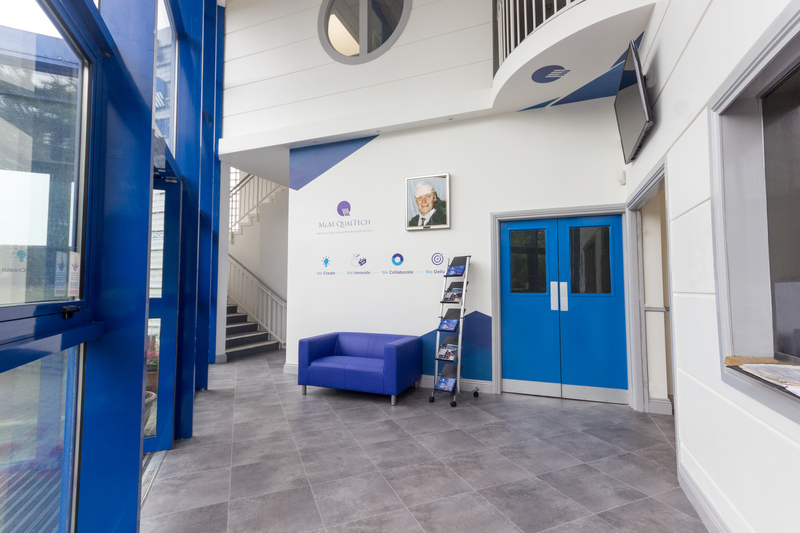 Our reception area has undergone the most extensive change as part of our refurbishment. The reception area now captures the core essence of M&M Qualtech – create, innovate, collaborate and design, while also presenting a more succinct and integrated brand to our clients. 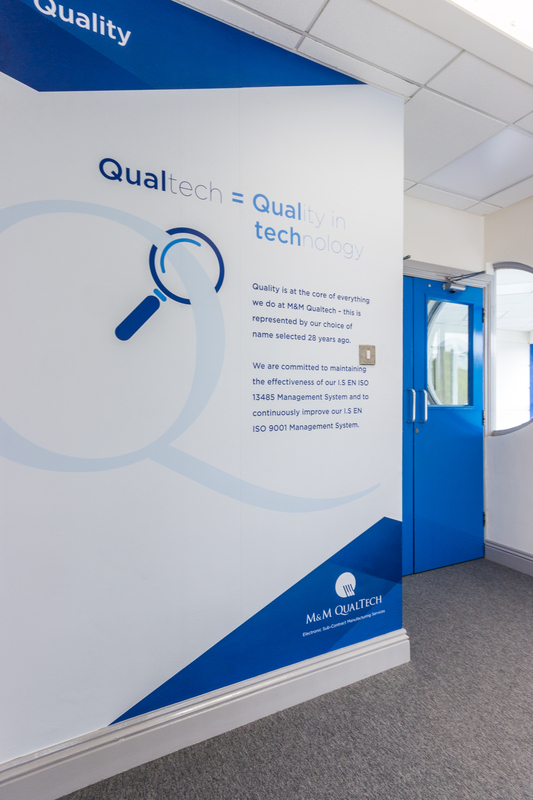 Quality has always been at the core of everything we do at M&M Qualtech – this is evident in the name that was chosen in 1988 Qualtech = Quality in Technology. 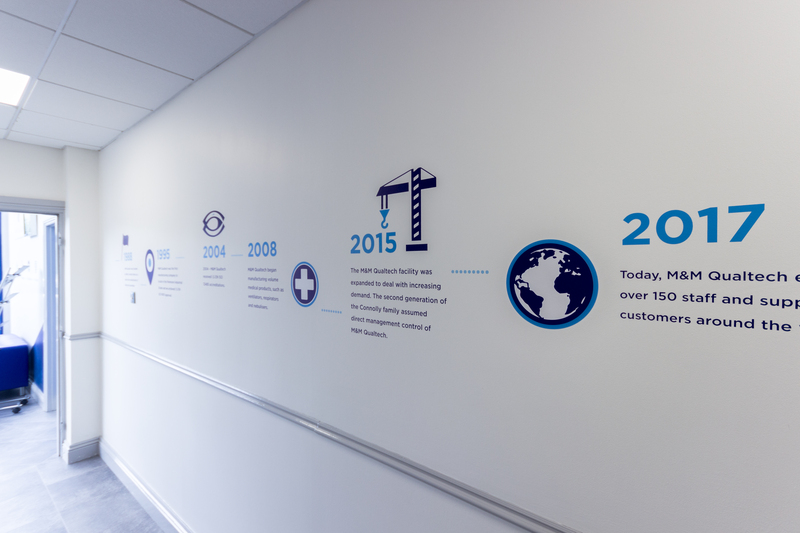 We wanted to reiterate the importance of Quality at M&M Qualtech to all clients – old and new, so have developed a wall graphic with our Quality Statement. We have achieved a lot since we were established in 1988 and wanted to highlight our main successes over the past 29 years. Key achievements in the company’s history can be seen throughout the facility. Make sure you get the full tour next time you are visiting us.